Expect a hefty fine, maybe even a draft pick penalty. Remember when the NY Jets Special Teams coach was fined $100,000 for his tripping incident on a kickoff? Yeah, what this video shows is much worse in terms of intent from a head coach. Subscribe to Giants Gab via RSS Feed or E-mail and receive daily news updates from us! Could the Giants Have Their Eyes on Unhappy Seattle QB Russell Wilson? 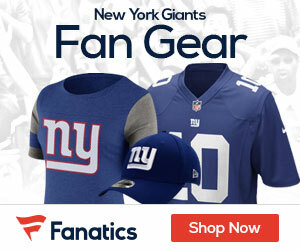 Sign up to receive our daily Giants Gab newsletter, and keep up to date with all the latest New York Giants news. Celebrity Seats has all the best New York Giants Tickets, New York Yankees Tickets, New York Knicks Tickets, and New York Rangers Tickets!